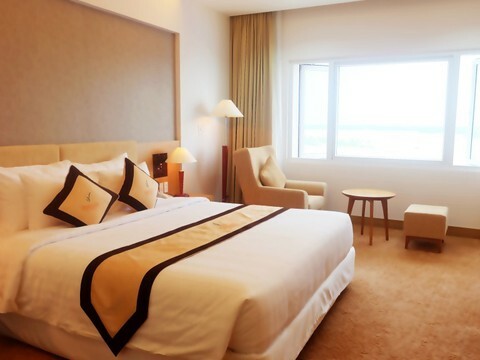 Me Kong-My Tho Hotel is located in the center of the bustling My Tho city, with potential for tourism development. The hotel is a harmonious combination between Western culture and modern luxury architecture of Europe. 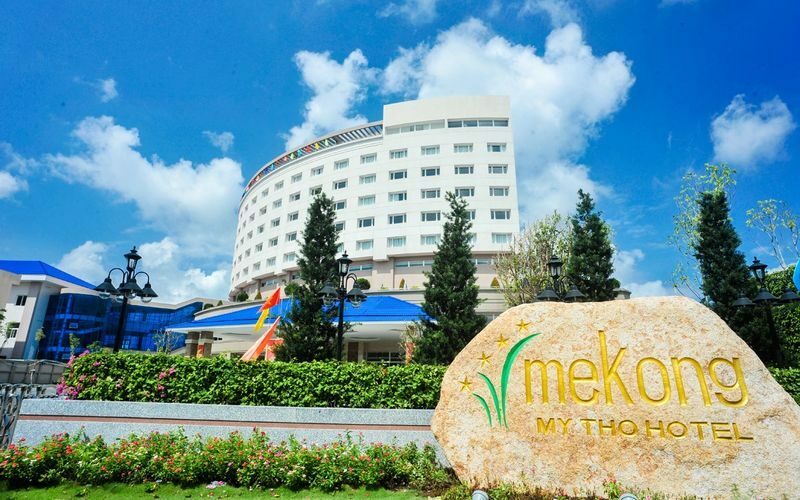 This creates a highlight of the My Tho Mekong Park which is both modern and bold with the culture of Tien Giang land. 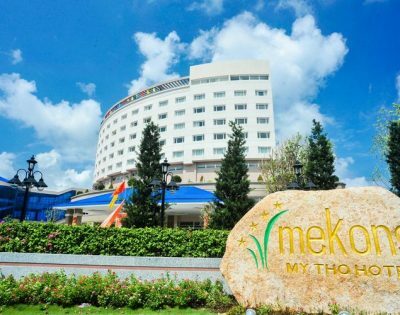 Me Kong-My Tho Hotel is fully equipped with amenities; There is a meeting room meeting standard, 2 wedding restaurants are luxuriously designed. 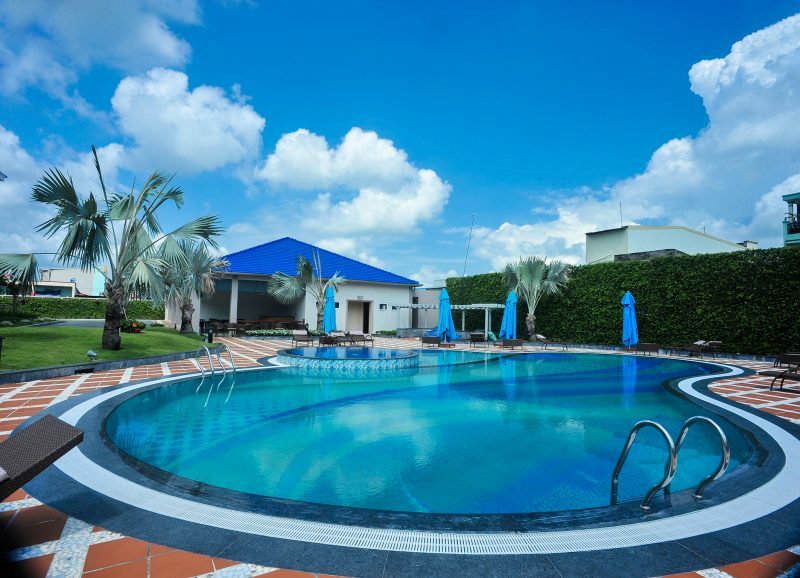 There is also a swimming pool, tennis courts, spa services, a gym, a high quality audio karaoke room .. The outdoor pool and spa center are open all year round, free Wi-Fi and free private parking on site. 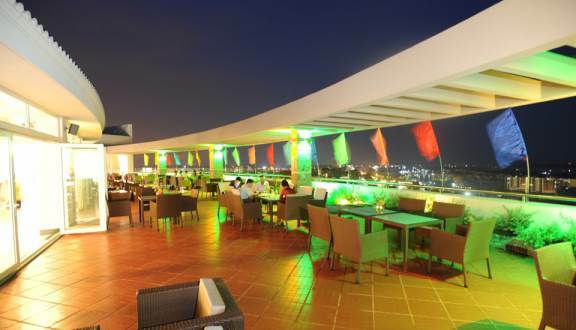 The hotel also has a 24-hour reception, a shared lounge, gift shop and shops. Guests can play tennis at the hotel. The hotel also offers bike hire and car hire. The nearest airport is Tan Son International Airport, 76.1 km away. 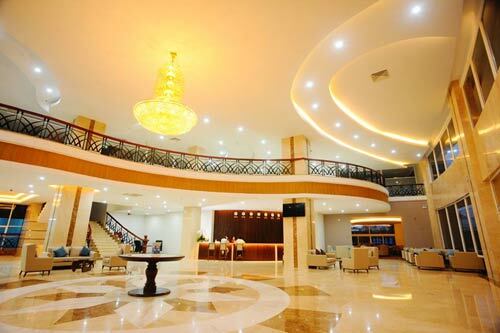 Mekong-My Tho Hotel is the ideal destination for travelers to Tien Giang. VIEW MORE: "Hotels in My Tho"